How can your business capitalize on the holiday season and see a major revenue bump? With optimized use of social media. By leveraging the newest marketing channel that reaches an incredible amount of potential customers, social media can build a strong brand identity and drive sales at the holiday. And your business can shine bright to more customers than ever before. Social media has evolved to become a crucial element of any successful marketing campaign and modern business owners need to know the value of different social media channels in order to optimize their marketing strategy. This is especially important during the holiday season, when customers are poised to make more purchases than at any other time of the year. We’ve laid out the best social media insights to allow for total optimization of your business’ holiday marketing campaign. 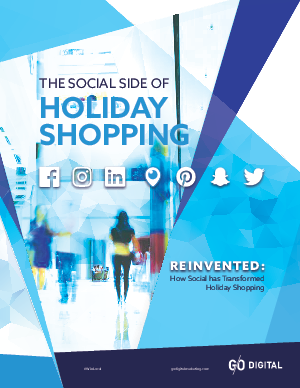 Download the full research report for all of the insights into how to properly leverage social media during the holiday season.